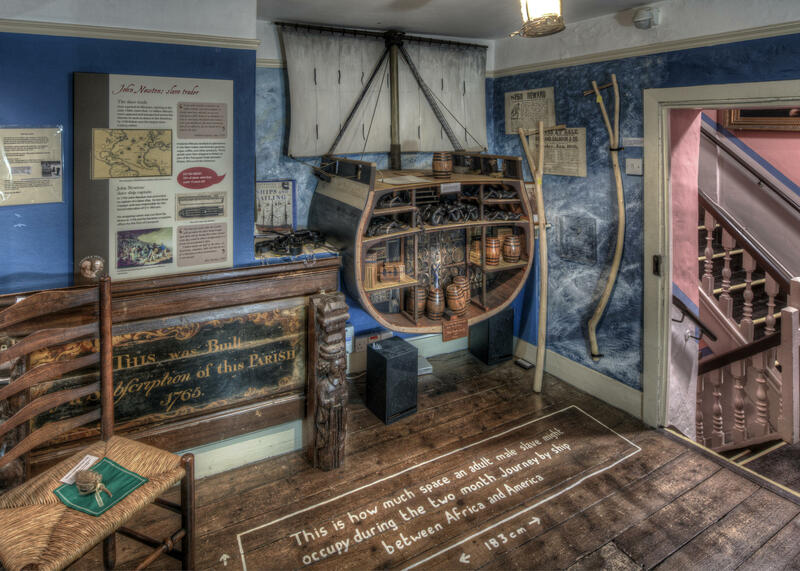 The star attraction of Olney is the world renowned Cowper and Newton museum which celebrates the unique literary heritage of two men, and the place where the hymn ‘Amazing Grace’ was written. Cowper and Newton lived in Olney, and this a unique Georgian story about their friendship, as well as beautifully documenting their lives in the town. It attracts visitors from around the world. 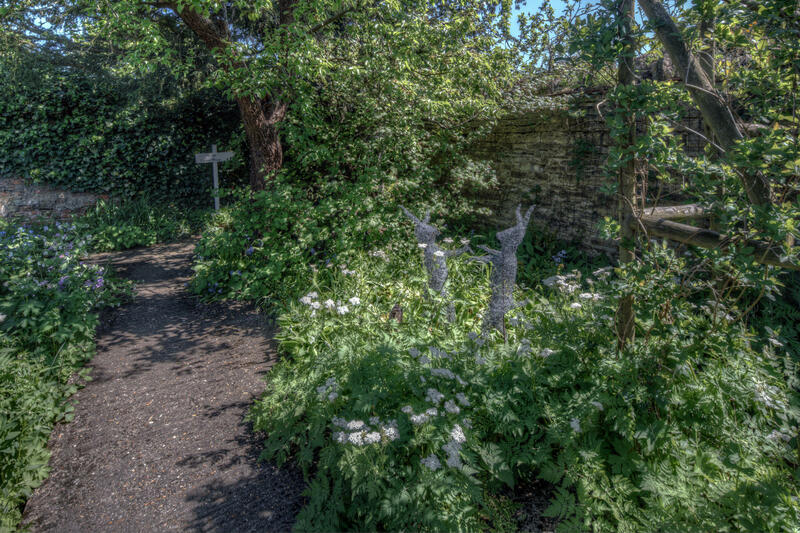 The gardens are are delightful place to explore too: well tended, with a lovely 18th Century summerhouse. The museum showcases the life and work of the leading 18th Century poet & letter writer, William Cowper, and his friend, John Newton who wrote the hymn “Amazing Grace” (the hymn is quoted below). 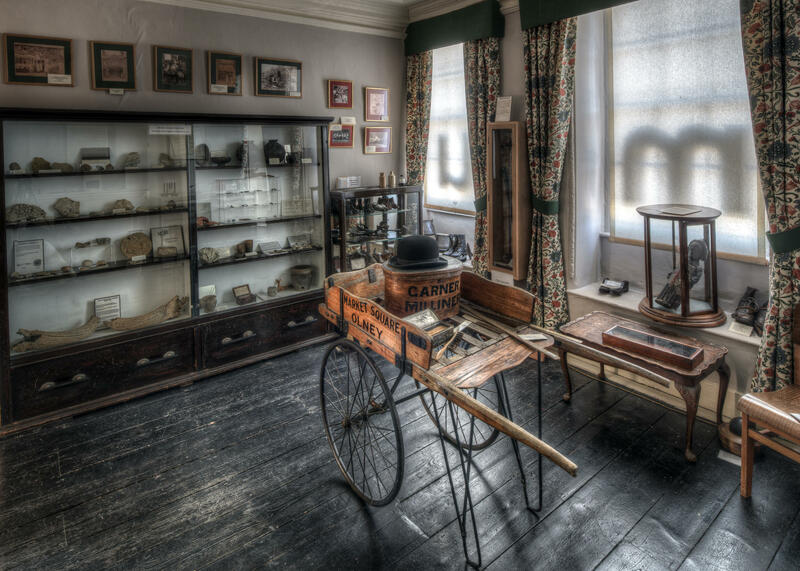 The museum also has many belongings of the men which show how they lived, worked and about how their fame spread. 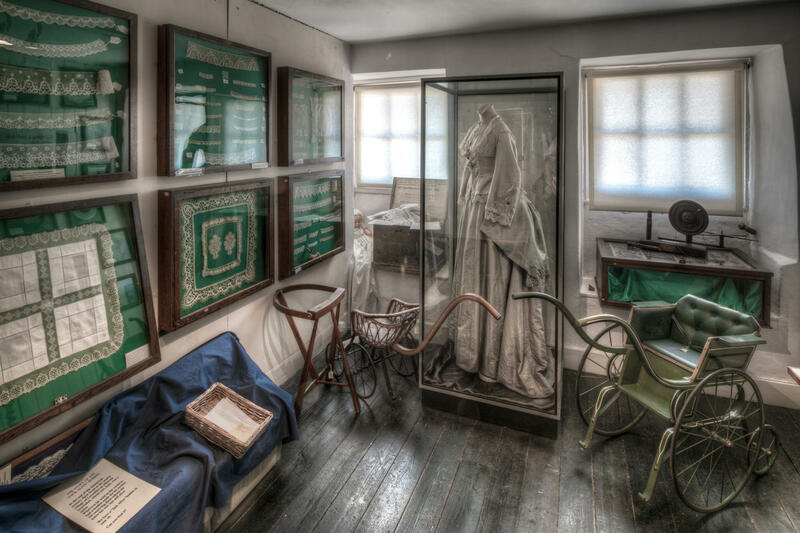 There is also a fascinating array of documents, objects and pictures to show how Olney evolved, particularly its past as a centre for lace-making and the boot and shoe industry. A treasure trove of Olney’s history through the years. 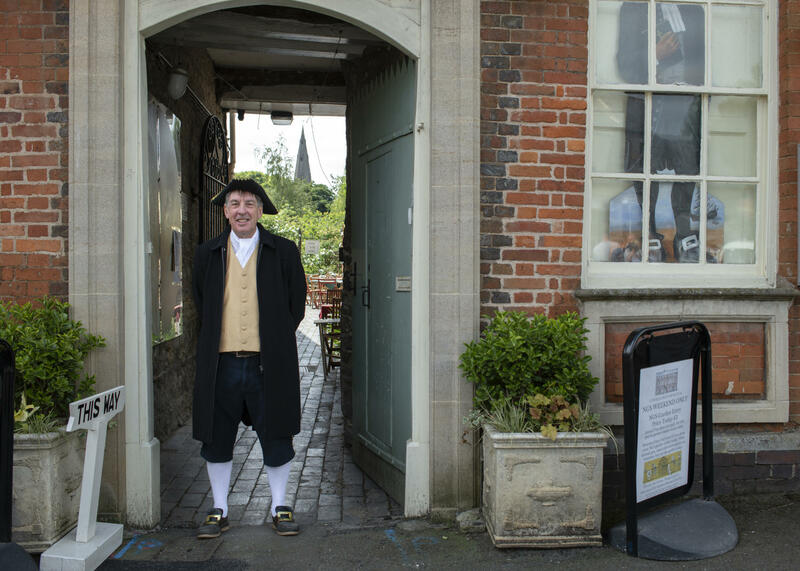 The town museum is supported by a hardworking team of staff and volunteers who put on an ambitious programme of events during the year. Volunteers are often to be seen dressed up in Georgian outfits! Open day: Copyright Steve James for Visit Olney. There is access for wheelchair users to the garden, and some access to the house. A portfolio of photographs of the exhibits in the upper rooms is available for those who find the steep stairs from this old building difficult to manage. and to Steve James for providing such images.